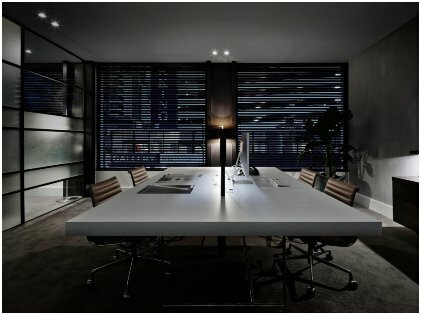 Does Workplace Lighting Affect Workers’ Mental Health? Apparently, Yes! 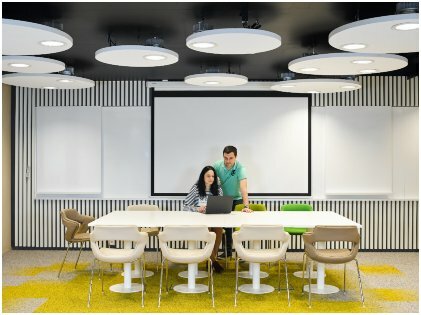 Lighting plays a major role in your workplace. Poor lighting does not catch the eye and is often overlooked, and it results in frequent mood swings and disorientation which are nothing but symptoms of graver mental health conditions. 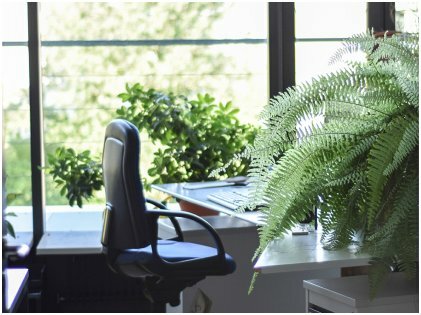 It’s imperative to create a healthy and happy environment at your office, and in case you have bad lighting there, you are more than likely to go through both mental and physical stress. Low light can also have some more adverse effects such as eye strain, fatigue, and headaches. All these are strict no-no’s when you are working in a high-pressured and competitive environment. You may have the onus to spend the lion’s share of your day in artificial lighting. One thing that you might not know is that absence of natural sunlight causes your body to undergo Seasonal Affective Disorder or SAD. Your performance and productivity also get affected. 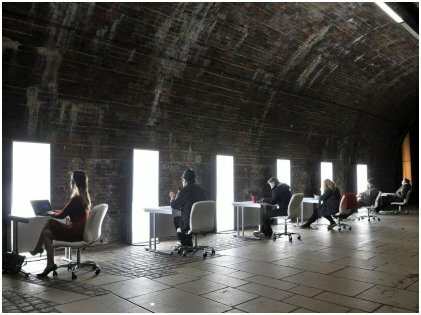 At least 40% of office workers are having a tough time to cope up with poor lighting at their workplaces. They have also experienced the negative impacts that bad lighting has on their psyche. Recently, an online survey was conducted where 2000 desk workers from the United Kingdom, 500 each from Spain, the Netherlands, Norway, Sweden, Finland, France, Italy, Portugal, and 1000 from Germany were asked about the effects of good and bad lighting at their workplace. Almost 80% of them revealed that having good lighting in their office is pretty much important for them as it accentuates their productivity whereas at least two in five divulged that they find it tough to deal with poor lighting every single day. One-fourth of the office workers go through a feeling of frustration when they have to spend their day with uncomfortable lighting. There are a lot of common health effects that are associated with poor lighting. The symptoms include headaches, eyestrain, depression, neck, back and shoulder strain, and poor motor performances such as dropping tools and materials, falling, slipping, or tripping. Poor lighting constitutes insufficient necessary light, improper contrast, poor distribution i.e. when the light doesn’t reach all the corners of the workplace equally, glare i.e. too much light that’s more than necessary, and flicker. Poor contrast makes it tough for an employee to distinguish objects. Direct glare can lead to an impairment of an employee’s vision whereas flicker is dangerous as it causes eye strain and headaches. A deterioration of mental health is an added disadvantage. How Important Is Natural Daylight? Studies reveal that around 13 to 15 minutes of exposure to sunlight triggers the release of endorphins, simply known as ‘happy hormones’. Several experts are of the opinion that approximately 5 to 10 percent of the total population is affected by Seasonal Affective Disorder or SAD. This is, indeed, a considerable figure and it implies quite a huge number of people are suffering from depression and anxiety for at least three to four months. 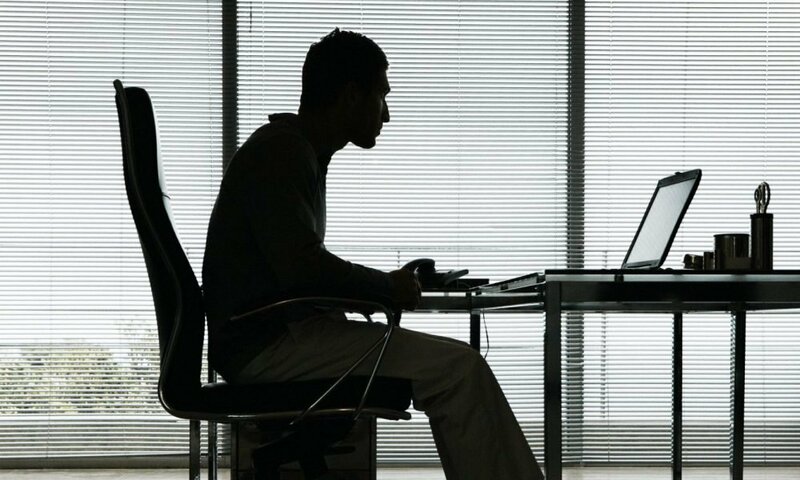 A number of surveys outline the fact that there is a strong connection between daylight exposure at the workplace with the quality of life of an office worker. Sufficient lighting usually comprises artificial lighting as well as natural lighting. Artificial lighting can be personalized depending on the kind of activity. There are various options by which artificial lighting can be personalized. Personalized lighting can help in creating a suitable workplace environment. Biodynamic lighting can adjust the present lighting at the workplace and make the tome and illuminance exactly like that of natural daylight. This would be, indeed, a big step in making the employees feel more comfortable and in control of their workplace. Happy hormones will get triggered and productivity will automatically get boosted. Blue light helps in restraining the sleep hormone that is in control of the sleep/wake cycles. Blue-enriched lighting can keep an employee alert both in the morning and after lunchtime. Surveys state that visual acuity improves and sleep patterns undergo a significant change. The well-being of the employees can improve with the inclusion of lighting that’s close to natural daylight. Suitable illumination is important to encourage the employees to bring out their best at work. Sufficient lighting is mandatory if you want to be at the peak of your job.